Bantwal, Dec 06, 2017: A person named Ganesh Shetty of Kalladka has lodged a complaint at the Bantwal Town Police Station against S C Dwarakanath, former president of the Backward Classes Commission accusing him of making an offensive statement against Lord Ram at a function held at Town Hall in Mangaluru. 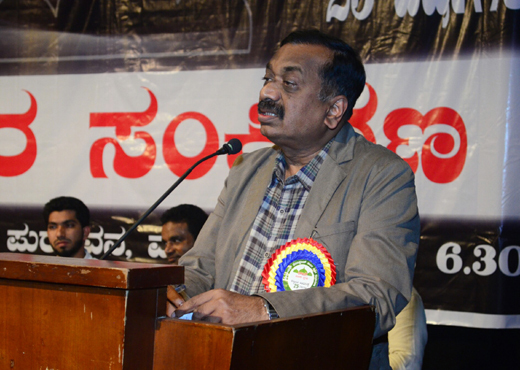 The further stated that Dwarakanath’s comments had hurt the sentiments of Hindus. He has also demanded legal action against the latter.